Tre Kronor won silver at the 2014 Olympic Winter Games. This year they will face countries from their neighbourhood in the preliminary round with archival Finland, Norway and Germany. As expected the Czechs will heavily rely on their KHL players. There are 28 players in the Russian-based cross-border league and 15 players are on the Czech roster for the 2018 Olympic men’s ice hockey tournament. There will also be seven players from the Czech Extraliga and three from the Switzerland’s National League be travelling to Korea to represent the country. Martin Erat, who will serve as team captain, will join a small club of Czech hockey players who have played four Olympics inclucing Vlastimil Bubnik, Josef Cerny, Jiri Holik, Patrik Elias, Dominik Hasek and Tomas Kaberle. Only one Czech player had more Olympic participations, Jaromir Jagr with five. For Roman Cervenka it will be the third Olympics. Cervenka (9) and Erat (7) are also the players who combine for most Olympic and World Championship participations on the team followed by Ondrej Nemec (6) and Jan Kovar (5) while Roman Cervenka has appeared in most national team games (138) before Petr Koukal (118) and Ondrej Nemec (116). While many players have top-level experience, the absence of NHL players also gives players a chance to be in the international spotlight who haven’t had the chance before. For Patrik Bartosak, Milan Gulas, Dominik Kubalik, Tomas Mertl, Vojtech Mozik and Adam Polasek it will be their first top-level, IIHF-sanctioned event with the men’s national team. Most of them have played in U20 or U18 Worlds before but for Gulas and Mozik it will be the first IIHF-sanctioned tournament of their career. Still, the Czechs will travel to Korea with a very experienced roster with an average age of 29 years. 36-year-old Erat is the oldest player on the team, 25-year-old Mozik the youngest. Jandac admits that recent World Juniors participant Martin Necas was considered as well but due to injuries he didn’t have the chance to test him with the men’s teams. The Czech Republic lost in the quarter-finals in Sochi 2014 and Vancouver 2010 but won bronze in Turin 2006 and gold in Nagano 1998. In PyeongChang 2018 they will play defending Olympic champion Canada, Switzerland and host Korea in Group A of the preliminary round. The Czech team will have its first practices in Prague before leaving to Korea. An exhibition game is planned against Finland in the Seoul region on 11 February before the Olympic men’s ice hockey tournament kicks off on the east coast in Gangneung. Led by general manager Sean Burke and head coach Willie Desjardins, Hockey Canada unveiled its 25-man roster of the upcoming Olympic Winter Games in PyeongChang, Korea. The two-time defending gold medalists will be relying most heavily on players from the KHL, the Russian league from which 13 of the 25 are currently playing. 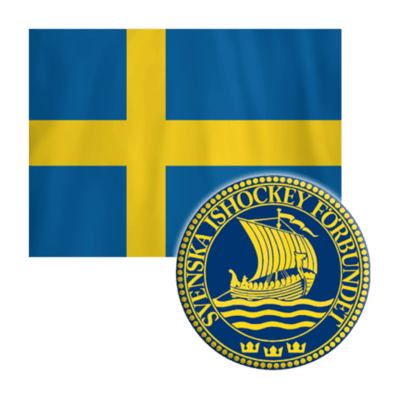 In addition, four players come from the top Swiss league (NL), three from the Swedish league (SHL) and American league (AHL). Germany (DEL) and Austria (EBEL) are providing one player each. The youngest player on the roster is 25-year-old Christian Thomas (whose father, Steve, played at four World Championships, winning a gold and two silver) while the oldest is 37-year-old defenceman Chris Lee, who made his IIHF debut with Canada in sensational fashion at least year’s World Championship, helping the team win a silver medal. This is a veteran and experienced team. The average age is 30.44, and only 8 of the 25 players are in their twenties. Interestingly, only Lee and Mat Robinson have never played in the NHL. At the other end, the team has three players with more than 700 NHL games to their credit: Chris Kelly (833), Derek Roy (738), and Rene Bourque (725). The players will meet in Riga, Latvia, on 28th January and have 17 days before their first game of the Olympics. They’ll play three exhibition games leading up to PyeongChang during which time coach Desjardins will figure out who will be his starting goalie and which players will fulfill which roles. 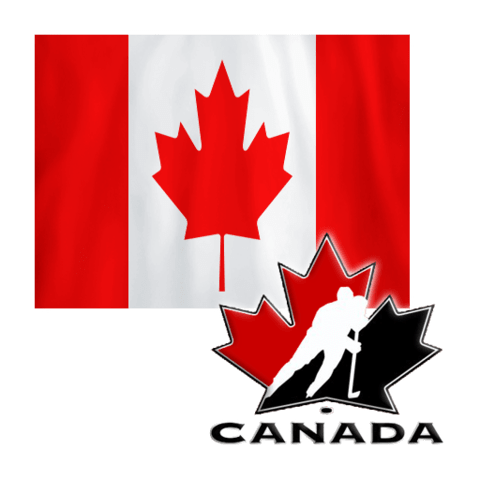 The Canadian Women’s Olympic Hockey Team also features: 14 players who won the gold medal at the 2014 Olympic Winter Games in Sochi, Russia; six players who won the gold medal at the 2010 Olympic Winter Games in Vancouver, B.C. ; and one player who won the gold medal at the 2006 Olympic Winter Games in Turin, Italy. The team nominated was selected by Schuler, alongside Melody Davidson, Hockey Canada’s general manager of National Women’s Team Programs, with support from assistant coaches Dwayne Gylywoychuk, Troy Ryan, and goaltending coach Brad Kirkwood, along with consultation from Hockey Canada’s chief executive officer, Tom Renney, and Hockey Canada’s president and chief operating officer, Scott Smith. The Canadian Women’s Olympic Hockey Team will look to win its fifth-straight gold medal at the Olympic Winter Games when the puck drops in South Korea on Feb. 11. PyeongChang 2018 will mark the sixth time women’s hockey has been part of the Olympic Winter Games. In addition to its four gold medals, Canada’s Women’s Olympic Hockey Team also claimed silver in 1998 in Nagano, Japan. Prior to heading to PyeongChang, the team will resume its Esso Series schedule with five games against Alberta Midget Hockey League opponents in the New Year. The Olympic women’s hockey tournament opens on Saturday, Feb. 10 at the Kwandong Hockey Centre and culminates on Thursday, Feb. 22 at the Gangneung Hockey Centre. Canada is scheduled to compete in Group A and begins preliminary-round play on Sunday, Feb. 11. 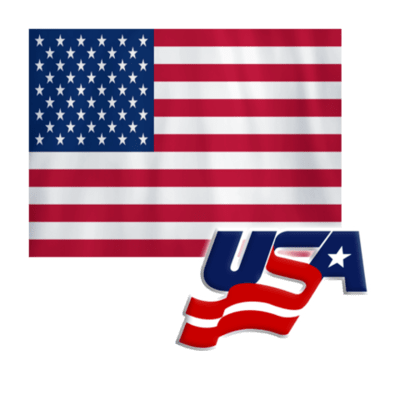 The U.S. Olympic Men’s Ice Hockey Team opens play on Feb. 14 when it faces Slovenia in its first preliminary round game. The U.S. Olympic Women’s Ice Hockey Team will begin its quest for a gold medal on Feb. 11 when it faces Finland in its opening game of preliminary round play. Even before the formation of ice hockey sports clubs in the UAE in the 1990’s, Fatima Al Ali had fostered a passion for the sport. She had watched the game in movies as a child, and when she turned 18 in 2008, she seized an opportunity to work with the UAE’s national men’s team as a photographer. When the women’s team was formed in 2010, she was among the first to join, and today she is one of the few hijab-wearing hockey players in the world. “I’ve been playing hockey since May 2011, working hard to be the best I can be in the game, and after struggling I finally got into the second league,” Fatima told My Salaam. She quickly became known for her talent in the game, winning first place in Hong Kong in 2013, Bangkok in 2014, and Kuala Lampur in 2015. She was also named Best Player of the UAE–Singapore game in 2017. Sheikh Falah’s passion has paid off. Defying all odds, the Emirate’s ice hockey men’s team has won eight medals so far, including three gold and five silver. A game played in Toronto in November 2005 between Emiratis and some of the sport’s greatest heroes welcomed the UAE into the global community of ice hockey. “Days after the game, Sheikh Falah’s jersey was inducted into the Hockey Hall of Fame, marking the first time a UAE national team jersey had been accepted by the sport’s most prestigious institution,” Petrov said. For her part, Fatima still works as a photographer, practicing only during her spare time. A lack of financial support makes a full-time career in ice hockey impractical. “We play hockey as a hobby, not even part-time, and we do not have full support. We only get ice time twice a week,” she said. Despite the lack of support, Fatima is making waves. Earlier this year, she made an impression on Peter Bondra, an ambassador of the Washington Capitals, the Washington-based professional ice hockey team, during his trip to the UAE. He recorded her stick-handling techniques in a video and posted it on Twitter, and the tweet went viral, with more than 460,000 views and thousands of shares and likes. Bondra subsequently invited her to Washington for the Hockey Is for Everyone campaign (which aims to drive positive social change and foster more inclusive communities) as the Washington Capitals’ guest of honor. When Fatima thinks of the future, all her dreams involve ice hockey and sports. She hopes to win the Asia Cup and participate in the Asian Winter Games as a player, but she also wants to reach higher levels as an officiate at the World Championship and eventually move on to the Olympics. Although ice hockey is less known in other parts of the country, it has become the most sought after sport in Ladakh. In international events, most of the members of national teams are now being dominated by players of Ladakh. Both men and women teams of ice hockey were formed with players from the region. The men’s team started to represent the country in international events in 2008 and the women’s team in 2016. The national women’s ice hockey team created history at the Ice Hockey Women’s Challenge Cup of Asia, held in Bangkok, Thailand, by recording its first international win by defeating Philippines and Malaysia. With this, India finished at the fourth position in the tournament. Ladakh Winter Sports Club general Secretary None P Wangchuk said for the first time, U-20 boys had represented the country in Malaysia last year. He said in addition to the regular tournaments, a state-level championship sponsored by the J&K State Sports Council was going to be held during this winter sports season. Considering the high potential due to the natural weather of Ladakh, ice hockey has started to get attention of elders as well. To meet the demand, special coaching is being provided to children and it is the only sport in Ladakh for which coaching at such a large scale is available. Noor Jahan, general secretary of the Ladakh Women Foundation, said free coaching in remote areas was a part of ice hockey promotion for which money was raised through crowd-funding. She said in all, 108 girls from different areas of the district took part in a 10-day basic coaching programme in ice hockey. 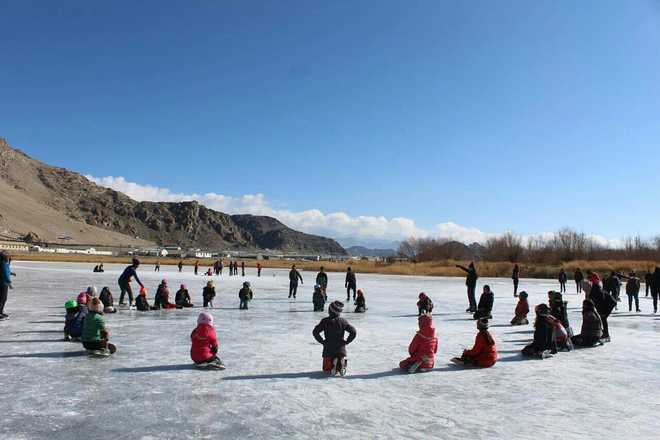 Meanwhile, the winter sports season in Ladakh, during which a series of events in the fields of ice hockey, ice skating, speed skating and figure skating are held, also began recently. The events are being organized by the Ladakh Winter Sports Club.